Giveaway is CLOSED, thank you for entering! 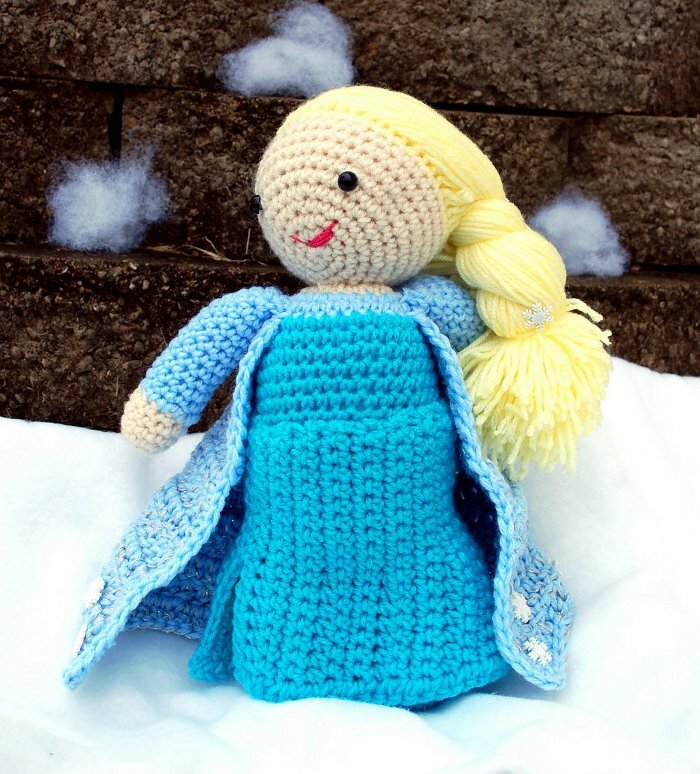 If you saw my post about my newest pattern, you may recall that I mentioned how I made the Elsa doll without any Elsa-lovers in the house. This left me with a bit of a dilemma. What should I do with her? My husband suggested I give her to Ivy…yeah, no. There are buttons and a rooted braid, she’d be ruined in a hot minute. My adorable niece isn’t even two yet, so the same argument applies to her. That leaves me with a lovely foot-high Elsa doll and no one to love her. So! 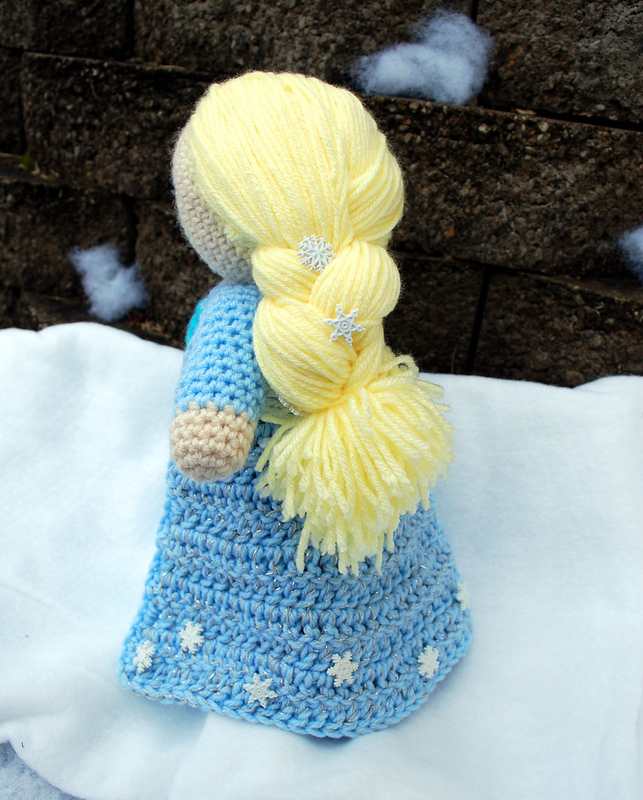 If you or someone you know would love Elsa for Christmas (or your favorite gift-giving occasion), enter to win and I will personally ship my original model to your house by a method the Post Office assures me will have it there before the 25th. Keep reading for how to enter! To enter giveaway, you must leave a comment on this post along with a valid contact email address. (Valid email address is REQUIRED for entry.) Only one entry of this type is allowed per person. PLEASE DO NOT LEAVE YOUR POSTAL ADDRESS IN YOUR COMMENT! OPTIONAL bonus entry: ‘Like’ Inner Child Crochet on Facebook. (If you already like ICC on Facebook, it still counts as an entry.) You MUST mention this in your blog comment to receive credit for it. OPTIONAL bonus entry: ‘Like’ Crochetvolution on Facebook. (If you already like Crochetvolution on Facebook, it still counts as an entry.) You MUST mention this in your blog comment to receive credit for it. Giveaway closes December 13, 2014 at 9:59 AM CST. It is my sincere hope that Elsa can find a home with someone who will love her before the end of December. If you know anyone who would like to win her, please point them my way! Don’t forget, the contest only runs until Saturday morning. Good luck! My daughter would LOVE this Elsa. Thank you for the chance to win! My six-year old granddaughter would absolutely love this doll. She is crazy over “Frozen.” She is such a sweet and loving child, and I would be very happy if she could have it! Thank you! I have a six year old niece who would just love to have Elsa. I am a fan of your Facebook pages. I hope I win this. My friend and her family just lost everything in a house fire 2 months ago…including her crochet stash. Her 5yo daughter would love this! I have 2 little girls how would love this! I liked both the Inner Child Crochet and Crochetvolution pages. 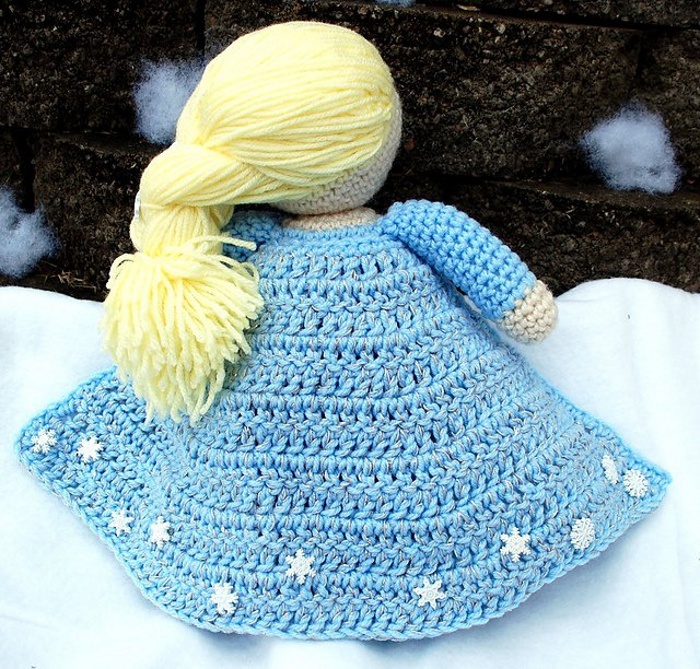 My daughter received this beautifully made Elsa in the mail today! I can’t thank you enough! My children lost all their toys, so this really means a lot to my daughter (though now her little sister is begging for an Anna!). 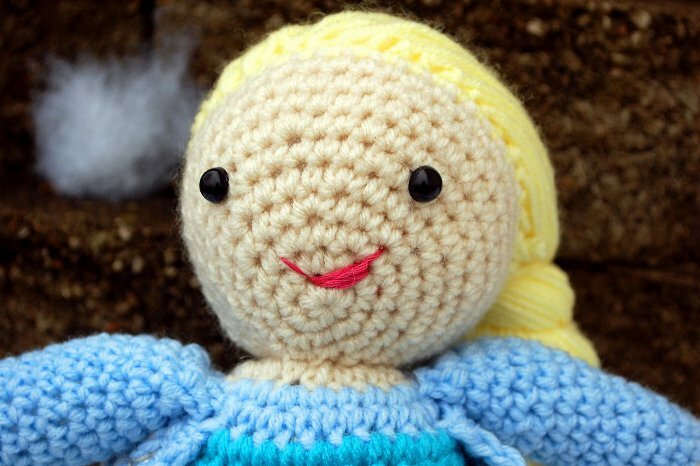 Direct quotes from my daughter: “She’s made of crochet and love!” and “Now we need a Crochet Kingdom!!”. Again, thank you!! I am so glad to hear it arrived safely. I hope you had a merry Christmas!